I met our featured author, Rebecca Rosenberg, at Story Masters: A Discussion of Story with Three Experts on the Art: Donald Maass, James Scott Bell and Christopher Vogler in Seattle. I am tickled to have her with us on Planting Cabbages this morning. Thank you so very much for the opportunity to interview you! First, some questions about your novel, and then about your writing life. RR: I live on our lavender farm in Sonoma, Valley of the Moon, where Jack (and Charmian!) London wrote 50 novels (in 20 years) from their thousand acre Beauty Ranch, which you can still see today. I have been hiking that ranch with my family and friends, soaking in the story of this brave, adventurous, genius couple, questioning how they lived, and what motivated them to work so hard on writing. Those questions led me to read the majority of their work, and start researching their lives. and your work with WOW influence this theme? worthourweight.org, a culinary apprentice program for at-risk young adults. food. I love bringing food into the picture, because it makes it come alive for me. …ten-minute mallard, barely warm and bloody; wild turkey, quail, and venison accompanied by wild rice with forest mushrooms; baby pumpkins filled with curried pumpkin soup; Swiss chard sautéed with purple beets; chestnut gnocchi; brussels sprouts with piggery bacon. kreplach and goulash, foods that bring her comfort. I’ve included one of London’s recipes for Lomi Lomi Salad below. time, especially at Beauty Ranch. 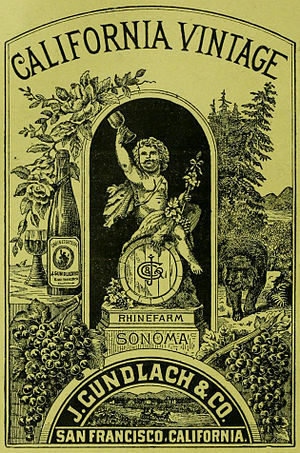 RR: Wine making started in Sonoma in the 1850’s, and was well established by 1915, when the novel is set. 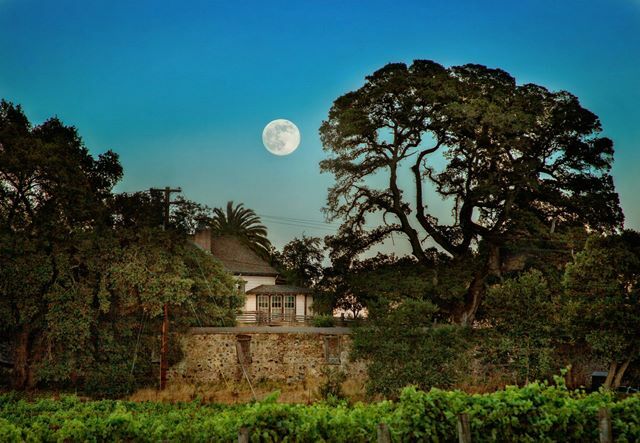 Our friends, the Kundes, still own Kunde winery close to Beauty Ranch, which Louis Kunde began in 1904. The stone winery on Beauty Ranch was damaged in the 1906 earthquake. London used the foundation and built an upper story wooden building used as a carriage house and as a living quarters for ranch hands, rooms for his many guests and an office where his sister, Eliza Shepard, could manage the ranch. PC: Can you visit his estate? RR: Jack London Park is definitely worth visiting. You can see the cottage the London’s lived in, the stone Pig Palace, the fishing and swimming ponds, The great stone ruins of Wolf House, the vineyards, the eucalyptus groves, and Happy Walls, Charmian’s home, which is now a fabulous museum of the London’s belongings. and new leaves can be cooked. PC: Have you eaten this? pleasure of eating them! My guess is they would be similar to hearts of palm. PC: Might you share a recipe for any of these dishes? RR: I’ve shared one of the London’s recipes, below. brook trout scene. Was a ten-minute mallard a favorite dish of Jack's? and she blames his gout and kidney disease on eating the undercooked fowl. 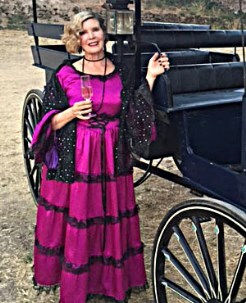 Charmian, herself, was a pescatarian. Charmian, with plot tensions accelerating over the battle with their sexuality. though Bess becomes Charmian’s baby. RR: Both Charmian and Bess Houdini wanted children, and did not have them. In the novel, I explore the different ways they manifested this thwarted desire. Charmian turns to exploring the world, and writing. Bess collects dolls and pets. life, but not part of what she showed the world? thoughtful person who thought a lot about the events of their lives. 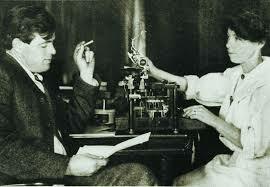 Jack London and his wife, Charmian, writing. PC: It really isn’t till later in the story that Charmian has the confidence to speak and write effectively. Was this true to life or part of the fictionalized story? Would you shed any light on how the woman’s movement during this time of history influenced the novel? RR: Charmian dedicated herself to be Jack’s coach, mentor, muse, manager, editor. calling each other “Mate”, and Charmian did write her own books and articles. PC: Did Houdini really send Charmian a wooden puzzle box? 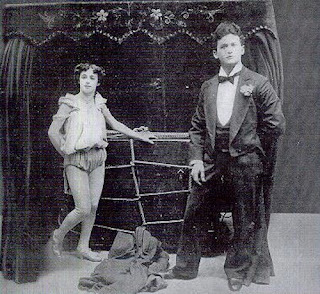 or the Houdini Museum in Scranton, PA.
magic at Coney Island, where he met Bess, and married her 2 weeks later. 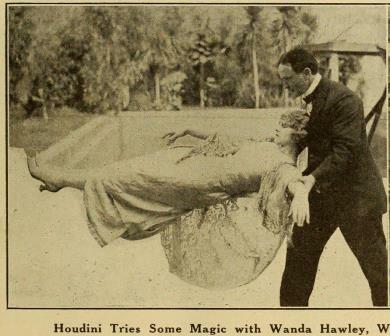 PC: There’s a wild scene where Houdini levitates Charmian, what was your intention? levitation? See photo of Houdini levitating! PC: When did you start writing and what motivated you? in and of itself. Tell us about yours. books, published a non-fiction, Lavender Fields of America, and this novel. have been phenominol to work with! I’m working on 2 other novels now. you read now? What's changed? Cousin Rachel. Anything by F. Scott Fitzgerald. women who lived before us who forged new freedoms for us. RR: Finding time and getting into the groove! U.S. and/or at an international level? RR: Good fiction causes thought and conversation about issues we face as humans. PC: What writing workshops etc would you recommend to a struggling novelist? What was your takeaway from the Story Masters Conference where we met? structure of a novel, and the different approaches our instructors presented for us. I also really like Larry Brooks for concept/premise and structure. My advice for writers: Keep writing. Get a writers group and stick with it. Merci beaucoup, Rebecca! I appreciate your time, as do your readers. I'm so glad to have had this chance to visit with you! And we can't wait to read your series on the Widows of Champagne! Five French widows (from 1800 to 1950) work through heartbreak, the restraints of a male-dominated wine industry, economic disasters, bad harvests and wars to head their own Champagne wineries during times when it was unheard of for women to hold such positions. Through their intelligence, perseverance and creativity, they create wildly successful champagne wineries and an explosive world-wide champagne market. Lomi Lomi salmon is a dish that did not come to the islands until after contact with Haoles, (whites or Europeans). Salmon is not a Hawaiian fish. 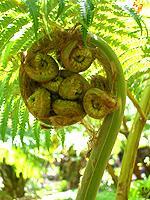 Hawaiians did not begin using it until traders brought salted salmon from Alaska to trade for Hawaiian goods. Lomi Lomi means to knead or massage. It was necessary to “lomi lomi,” the salmon in water to remove some of the salt, and that is how this recipe was developed. Actually, most of the ingredients used in lomi lomi salmon were unknown in Hawaii until after contact with Haoles. Lomi lomi salmon is raw, just like sashimi and the fish usually used on sushi. Today the dish is usually made with fresh salmon. Dice the salmon into about 1/4 inch dice, removing any bones and bits of fat of sinew as you do. Place in a colander and rinse under cold running water to remove any blood. Add the remaining ingredients and lomi lomi until well mixed. Place in a serving dish and set the dish on a larger dish filled with crushed ice. It should always be served very cold. * You will most likely not be able to find Kukui nut. A reasonable substitute is roasted and pulverized peanuts or walnuts. What a fabulous interview, thank you so much for for hosting Rebecca! I have been using this replica watch, it is a very beautiful and affordable automatic watch, good size, great quality, elegant and temperament, is my favorite style. replica iwc watches I shared this website with my friends and they were very happy.